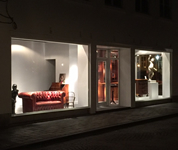 In addition to our Petworth, West Sussex showroom we have now opened a wonderful new showroom in Brugge, Belgium. In Brugge we offer period antiques and fine works of art and a wonderful collection of contemporary paintings. Very pleased to have been included in the recent Quest TV prorgramme where Drew Pritchad visits various interesting antiques shops in Petworth. On TV he is seen admiring our ecclectic stock and purchasing two of our wonderful decorative Flamingo statues. As usualll we are showing some wonderful pieces of fine antique furniture as well as fascinating curios like this model The Silver Ghost which is the last work from JLB Art, Borgers Jean-Luc from Belgium. See our exhibition of 4 works of art by JLB Art, Borgers Jean-Luc from Belgium. Racing cars from scrap metal. Illustration is the Silver Ghost, the last work from Exhibition at Anthony Short Antiques in Petworth during the Goodwood festival of Speed Weekend July 2016. His racing creation number 5 took about 1600 hours to build from scratch metal and measures about 2 metres long. The Silver Ghost is inspired on the legendary Ferrari Lancia D50. From 29th of September up to and including 2nd October 2016, SELECTIONS FAIRS held an Antique and Fine Art Fair in The Hague. Around 50 antique and Classic Fine Art dealers were exhibiting their collections. This exhibition was held in the highly atmospheric ‘Big Church’ of The Hague and was s “a must” for every art lover and collector. Once again we cross the water to exhibit our wonderful selection of fine antique furniture to appreciative buyers in mainland Europe. Attended the annual Art Nocturne Knocke arts & antiques fair in Belgium. 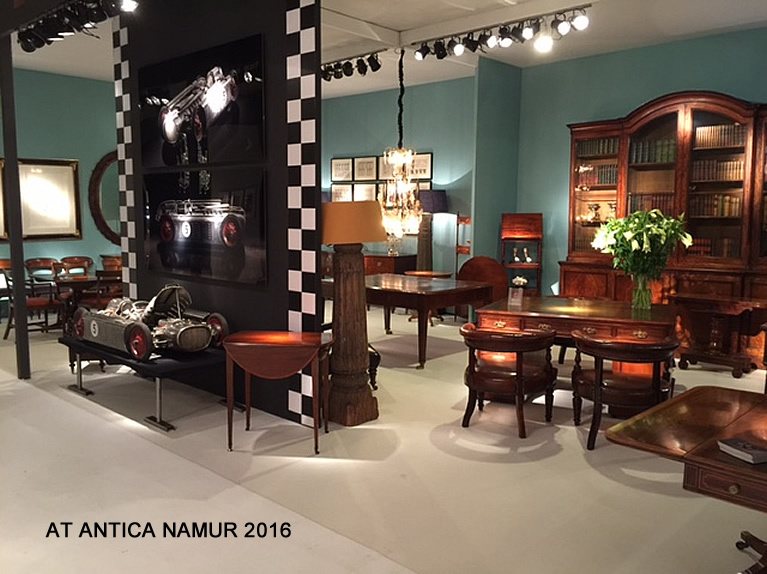 Attended the annual Art Nocturne Knocke arts & antiques fair in Belgium. Thanks to all those who visited us. Hope you found what you were looking for.